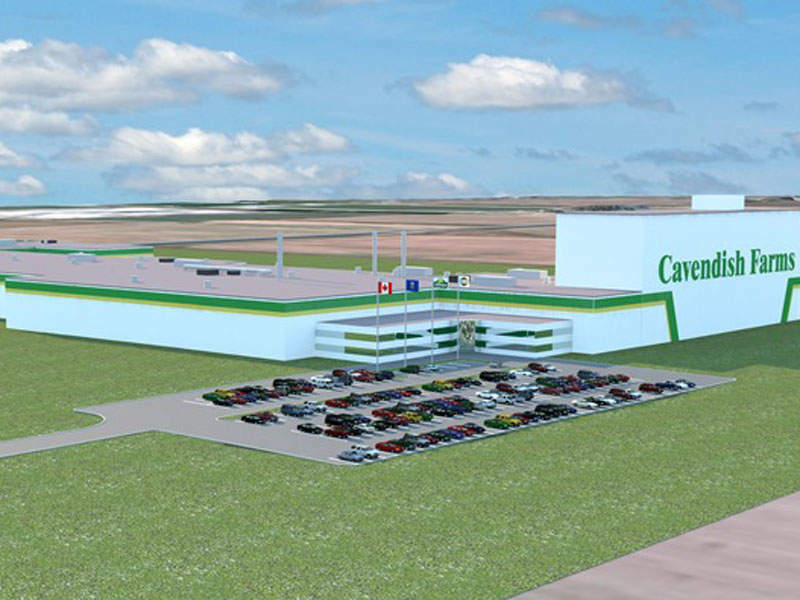 Cavendish Farms’ new state-of-the-art potato processing plant is being built in Lethbridge, Alberta, Canada. Image courtesy of J.D. Irving. The new plant will triple Cavendish Farms’ annual production capacity. Image courtesy of J.D. Irving. Ground-breaking for the construction of the facility took place in September 2016. Image courtesy of Alberta Government. 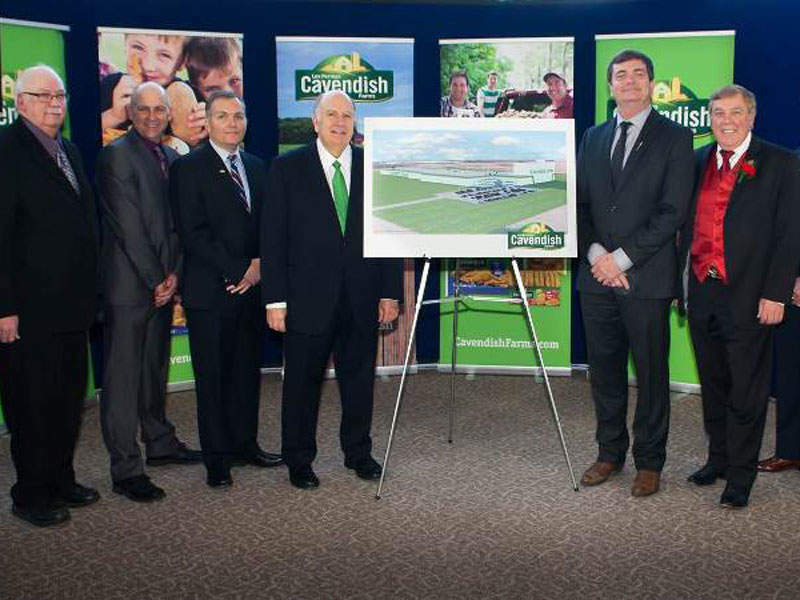 Cavendish Farms is constructing a new state-of-the-art potato processing plant in Lethbridge, Alberta. With an estimated investment of $360m, this project represents one of the biggest private investments in the region. It will replace the company’s existing plant in Lethbridge to meet growing demand for frozen potato fries and specialty potato products, while tripling the company’s annual production capacity. The new plant will also be highly efficient to help reduce the company’s carbon footprint. Construction on the project began with a ground-breaking ceremony in September 2017 and is expected to be completed by 2019. The new state-of-the-art plant will be located in the Sherring Industrial Park in Lethbridge, which is in close proximity to Southern Alberta’s prime agricultural region. Cavendish Farms purchased the land required for construction in December 2016. The location is known for yields of high-quality potatoes, which are best suited for the production of French fries. The site also provides Cavendish access to markets across Canada and the US, enabling it to expand its business. The foundation work for construction is expected to commence in December 2017. Cavendish Farms is currently working with local suppliers and vendors to procure materials for the construction and is also awarding contracts to local companies on a priority. The project is expected to require 400 workers and approximately 750,000 hours of work to complete. 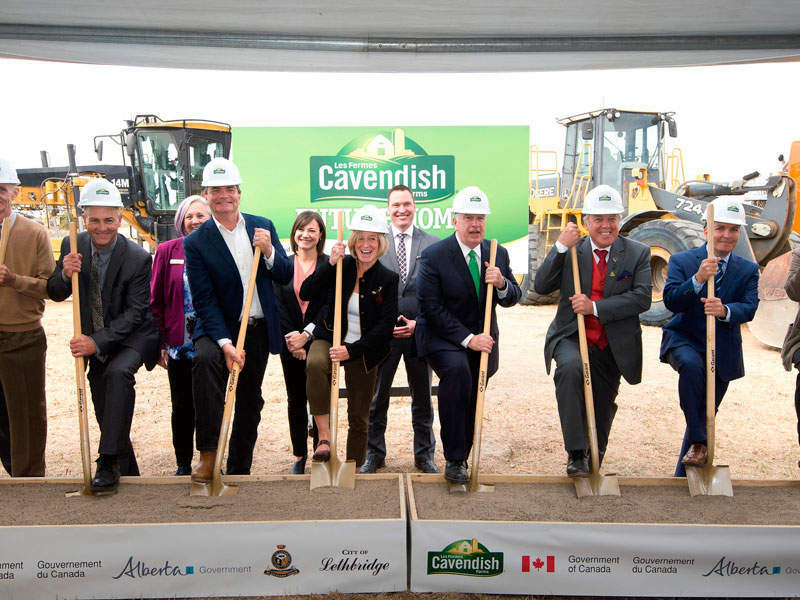 The Alberta Government, Federal Governments, and the City of Lethbridge have granted $20m in funds to the city to carry out improvements to municipal infrastructure ready for the construction of Cavendish’s new potato processing plant. The grant was provided through the Clean Water and Wastewater Fund and Alberta’s Capital Plan. The two governments also sanctioned $1.88m towards pre-engineering studies and other works through the Growing Forward 2 initiative. In addition, the Department of Economic Development and Trade is also providing more than $1m through the Community and Regional Economic Support programme. The funds will indirectly support the Cavendish facility upon commencing operations. The project is expected to generate jobs and contribute to the growth of the local economy, while also establishing Lethbridge’s status as a Canadian hub for agri-food business innovation. Agriculture is the biggest growth driver for the Canadian economy and also the biggest contributor to the generation of jobs. The sector was worth $14.6bn in 2016 and the biggest employer with more than 22,400 jobs. Construction of the new facility will create new growth opportunities for local producers to supply an additional 9,000 acres of potatoes. Cavendish Farms produces a range of frozen potato and appetiser products for the North American markets. It supplies these products to customers in the retail, restaurant, and institutional sectors. The company operates four potato processing plants including two on Prince Edward Island and one each in Lethbridge, Alberta, and Jamestown, North Dakota. It also operates a processing plant in Ontario, which produces appetiser products. Rosenqvists Food Technologies develops and designs food processing equipment and complete lines for production of potato chips, snacks, nuts, French fries and potato specialties.